Handgun at the ready and a society not at the ready. Gun violence again! What on earth are we going to do America? That is an actual question! What are we going to do? We have just experienced yet another senseless shooting, a #mass-shooting with 11 deaths. This happened in an upscale Southern California community, Thousand Oaks, known as a quiet, middle-class family oriented and low violence place to live. But not on this day! 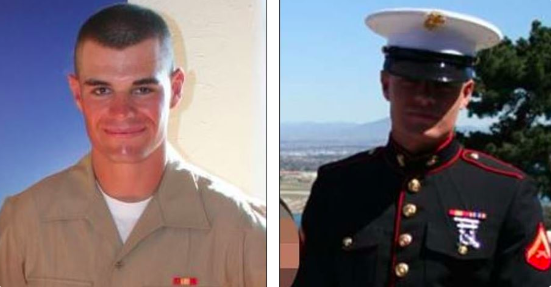 As the story goes, and I am sure you have heard it, an *ex-Marine, Ian David Long, went into a restaurant bar & grill during a college country music night. 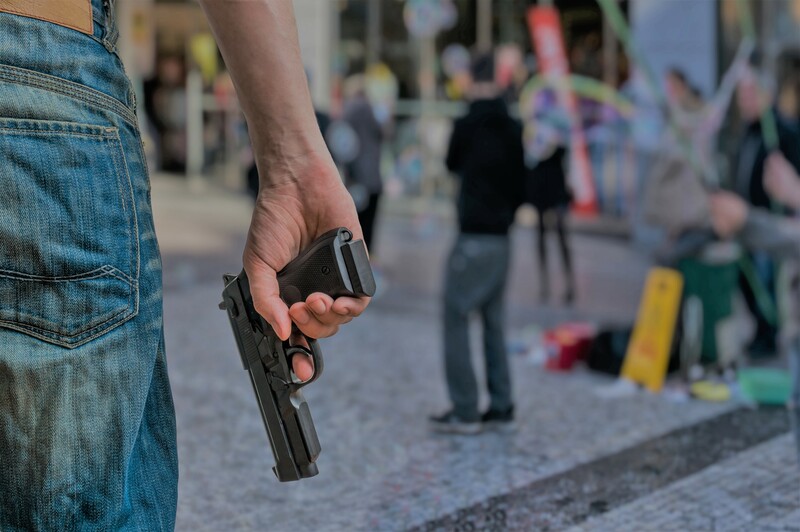 He was armed with a handgun, and extra ammunition, and shot and killed nearly a dozen people and injured many more, before taking his own life. The “ex-Marine” identifier comes from the uncertainty as to his status when he separated from the service. It is possible and not yet confirmed that he may have been dishonorably discharged, thus losing his status as “former Marine” as it is commonly known when one leaves the service with an Honorable Discharge. But back to the more important story here. In this presumed civilized and democratic society, we are facing yet another case of senseless violence. And specifically, gun violence. And in which multiple innocent and unsuspecting people are targeted by a person with whom they have no relationship. He was not a part of the social gathering. The victims were attending the Bar & Grill on what they called college Country Music night. Students, young people were the audience. The students were mostly from the nearby Pepperdine University. Pepperdine is a small private institution of learning. I considered posting the chart, but the numbers represented were just too numerous, in the hundreds! Now it is true that different sources use different metrics to determine mass shooting metrics versus the shooting of possibly one or two persons. It is a difficult subject to consider. Every life is important and any death is tragic, whether one or one hundred. …and other forms of trying to say the “right” or best response to the victims and involved parties. In a painfully heart-wrenching moment of T.V. news coverage, a mother, in this case, was heard to cry out that she did not want any of those words spoken to her. She cried out for what she and a growing number of other civilians ask for, gun control actions instead. You cannot help but appreciate her pain and the seeming emptiness of words of condolence in the face of losing a loved one yet again. And then there is the death of a First Responder, Sgt. Ron Helus of the Ventura County, California Sheriff’s Department. Sgt. Helus, along with officers including the California Highway Patrol, who also responded to the incident, entered as a tactical team, to stop the killing. In the process Sgt. Helus was himself, killed by suspect Long. We understand that shortly thereafter suspect Long turned his own gun on himself and died. Sgt. Helus, and his fellow officers did what First Responders are trained to do, they went inside the “X” to find the threat and stop it. The “X” is a common term used by Special Operations and Law Enforcement to denote the point of danger. The responders correctly understood that a suspect was in the process of killing people and needed to be stopped. Sadly, Sgt. Helus faced what is a truism for the first person into the threat zone, it is the most dangerous tactical position for the entry team. And Sgt. Helus joined the innocent victims in being killed by the suspect. So I ask you, is it a gun control issue? Is gun control a Constitutional issue? The gun, in this case, is believed to be legally purchased and owned by the shooter. The well trained ex-Marine shooter knew his way around weapons as a veteran of the military and with deployments to war zones during his carreer. But the shooter was also known to the local police. He is known to have, or believed to have shown some indications of emotional issues. Diagnosed? We do not yet factually know. But when the weapon was purchased, he was not diagnosed with any mental disqualifiers. Could this incident have been prevented? Could someone have anticipated that this person would arm them self and find a gathered group to target with death? I suppose it is possible. The police did have a prior response to the suspects residence in which a disturbance was the complaint. In that instance the officers departed after an investigation with no arrest, no confiscation of a weapon…no determination that a crime had occurred. A missed opportunity to prevent a future tragic act? You just cannot predict the future, we just are not that skilled in predictive analysis. The police are simply not psychologist or therapists. People can be pretty convincing given the chance to avoid detection when time and circumstances are on their side. You make the call…preventable, or not? If so, how?